To make knitted or crochet animal look sweet, I attach yarn flowers to their body and it usually works. I have this crochet guinea pigs out in Make It Today magazine now in the UK. I think the flowers on the bottom make them a bit unique. Crocheting a flower is easy. Initially, I took up crochet because I wanted to make flowers with yarn. I found knitting a flower is much trickier. You may end up lots of yarn ends coming out from each petal and it is quite annoying to weave them all in. But I have found a new weapon; Clover Mini Flower Loom. With this small tool, you can make flowers with yarn very easily. There is no knitting or crochet involved. All you need to do is winding yarn around pegs. Step 1: Insert yarn end to the slit. This will hold the yarn firmly and make it easy to work. Step 2: Wind yarn around the pegs. If you hold the base of the peg together with the winded yarn, you can work smoothly without letting the yarn slip. Here, I winded twice around for volume. Step 3: Now, you thread a length of yarn to embroider centre. This thread keeps the flower in shape. Take the needle out from the back between the two sides of a flower and insert the needle into the centre. When you are done, release the flower from the pegs and hide yarn ends. I decorated a knitted tea cosy with the flowers I made with the loom. I also made coasters to go with it. To make the coaster, I thread through the loop on the peg as I make another flower. That way, you do not need to sew flowers together at the end. I haven’t made any new post for ages. To be honest, I wasn’t too sure where this blog was going. I was enjoying writing but sometimes, I did feel the pressure. I wanted someone to read it and possibly, receive a benefit from what I write. I have decided not to worry too much and write whenever, whatever I can. I updated the website yesterday with a little effort, and today, I would like to share the good news. I have been working closely with Clover mfg. If you are involved in crafting, you know the company of course. It is a Japanese craft tool manufacturer. My mother used to love their products and I grew up watching her using them. I was requested to make up some designs for the Clover website. How fantastic! Here are some projects I have done. 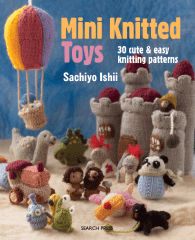 For Crochet, Frogs and Sheep. There will be more free patterns from this site. Clover’s products are good in quality, innovative and fun! I hope you will enjoy! Last year around this time, I was in Japan with my boys. I have been thinking about the trip recently. I still remember what we did on each day. It was a trip of a lifetime. We visited many places, stayed in nice hotels, ate fantastic food and my mum was still alive. Oh well, we must carry on. On the New Year’s Eve, we were at Odaiba, Tokyo, and I met this little guy. He was so cute and I fell in love with him instantly! The sales person was very charming, too, I had to admit, and he was very good at his job. He swiftly sprayed disinfectant on our hands even before we agreed to sit with the puppy. I had no choice than accepting the little one when he handed him over. I didn’t grow up with pets. My family never kept anything except goldfish. I am not a cat or a dog person, but that day, I seriously thought about becoming a dog lover. The puppy was a most adorable, precious thing in my hands. He kept licking my fingers and I still remember the feeling. The puppy was French miniature poodle and apparently, it will not grow any bigger than this size. You do not need to feed him too much or take him to walk too often. Perfect! Unfortunately, we live in the UK and could not take him home. I didn’t have the heart to make him go through the gruelling long flight in a tiny cage. When I show my boys my knit, they quickly see where I got the inspiration from. 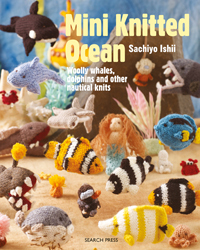 It is made with fleecy yarn. I used Patons Babysmiles DK for this project. There are many fleecy yarns in the market and they come in two weights, DK (8-ply) and Chunky. I find DK is easier to work with. Making stuffed toys with fleecy yarn is fantastic. You can achieve stuffed animal effect and seams are not visible. Your stitches do not need to be perfectly even because you don’t see them. It is very difficult, almost impossible to pick up a stitch if you drop one. I count stitches time to time and make sure I am not decreasing or increasing stitches without my intention. If I notice I have more or fewer stitches than I am supposed to, I simply correct on the following row. Oh, my goodness, Christmas day is tomorrow already! I wanted to post something a little earlier, probably writing more about Christmas crafts, but time has gone so quickly. I have been working on some magazine projects and did not have time to do much else. A bit of problem of freelancing; you don’t get any work for days and weeks sometimes but when you start receiving commissions, everything comes all at once. But I am enjoying each project. I absolutely love what I do. On top of the jobs I got, I needed to sort a trip to Japan for my son. He found an opportunity to work at a ski resort in Nagano and decided to work there for the season. The confirmation arrived last week, booked tickets, went shopping to get everything he needed. He left last Monday. I miss him very much but I have to let him have his adventure. It is a very quiet Christmas this year. But I wish you all a Happy Christmas!! 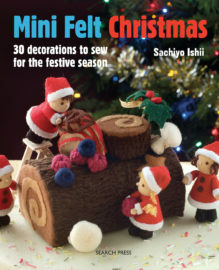 Photos are from my book, Mini Christmas felt. Where is your favourite place to knit? It is the dining room. Our dining room is connected to the kitchen and has the largest table. I don’t have to feel isolated because I get to chat with my family when they come in for lunch or a snack. I can also keep an eye on the hob and the oven. How lucky I am to work from home! I cook and knit at the same time. We have an empty room upstairs since my older son has moved to London for his uni, but my workspace will stay right here in the dining room. I love baking bread and biscuits. I am not a fantastic baker, but I enjoy it very much. Boys used to say they could smell bread outside the front door when they come home from school. It is a nice, homey feeling. I also slow cook beans. I buy dried, soak them overnight and cook. They taste much better than tinned beans and give you much better value for money. You can cook a lot in one go and freeze if you like. I am sure there are hundreds of recipes to enjoy beans, but being Japanese, my favourite is the Japanese way, Nimame. Nimame literally means cooked beans. It is usually simmered in soy sauce and sugar and has sweet, savoury taste. 1. Soak the soybeans in a large bowl of water overnight or 8 hours. The soybeans will grow four times in size. 2.Drain water. Place the beans in a large pot with water and simmer 1.5 hours until the beans are tender. 3.Place the soybeans in a medium-sized pot with measured water. Cut Kombu into small squares. Add to water. Add rest of ingredients. Place the drop-lid on top and simmer for 30 minutes. I like adding a little more colours and flavours. I usually add dried Shiitake mushrooms and carrot. This is home cooking and many have their own recipe. I do not like to make beans too sweet, but if you prefer, you can add some sugar. If you cook any beans with soy sauce and mirin or sugar, it is Nimame. I cook pinto beans, black beans and sometimes chickpeas in the same way. You can add potatoes, too. So simple, but nutritious and yummy. We eat Kuromame, Black soybeans for New Years Meal. Eating Kuromame is considered to bring you good health for the new year. In Japanese, the word ‘Mame (beans)’ means hard working. If someone said to you ‘You are mame.’, he is saying that you are hardworking who never cuts corners. It is a compliment. Traditionally at New Year meal, people ate Kuromame and pray to be in good health so that they would be able to work hard in the fields until you are dark as Kuromame beans. Kuromame is black soya beans and differs from the black beans we can get at our supermarkets, but I cook black beans the same way with soy sauce and mirin/sugar. It turns out softer and less glossy, but I still like it. When I was an exchange student in Indiana, USA, my host mother often cooked us baked beans and I loved them. The recipe is different from what we have in the UK. It wasn’t sweet at all, had a smokey flavour and served with cornbread. I can make something similar, but not as good as hers. I wish I had the recipe. We are having very cold weather with lots of snow and sleet. Staying home and cooking beans is utterly fantastic. I made up this pattern recently. I was re-making the panda which appeared in LGC magazine some time ago. These were quite big and knitted in very bright colours. I made them smaller and in classic panda colours. I thought about dressing it in a jumper, but the jumper would hide the colour pattern of the body. I made him a scarf and a hat and made him look a little Christmassy. I would like to share the pattern here today. Row 9-17: Work 9 rows in st st, starting with a p row. Rows 19-25: Work 11 rows in st st, starting with a p row. Rows26-29: change to Black and st st, starting with a k row. Rows 31-35: Work 5 rows in st st, starting with a p row. Break yarn, draw through sts, pull tightly and fasten off. With White, cast on 10 sts. Work as Body to row 6. 40 sts. Row 7-17: Work 11 rows in st st, starting with a p row. Rows 19-23: Work 5 rows in st st, starting with a p row. With Black, cast on 10 sts. Break yarn, draw through sts, pull tightly and fasten off. Sew side edges together to make it into a circle. Rows 3-7: Work 5 rows in st st, starting with a p row. Rows 10-17: Work 8 rows in st st, starting with a k row. With Black, cast on 12 sts and work 15 rows in st st, starting with a p row. Break yarn, draw through sts, pull tightly and fasten off. With Black, cast on 14 sts. Break yarn, draw through sts, pull tightly and fasten off. Stitch the side edges together to make it into a semi-circle. With White fleecy yarn, cast on 30 sts. Rows 6-10: Change to Red DK and work in st st, starting with a k row. Rows 12-15: Work 3 rows in st st, starting with a p row. Rows 17-19: Work 3 rows in st st, starting with a p row. Rows 21-23: Work 3 rows in st st, starting with a p row. Rows 25-27: work 3 rows in st st, starting with a p row. Rows 29-31: Work 3 rows in st st, starting with a p row. With Red fleecy yarn, cast on 4 sts and knit until the work measures 25 cm (about 10 inches). Cast off. With White DK, wrap two fingers 30 times and tie the centre with strong cotton thread. Cut loops and trim. With fasten off yarn end, sew body half way. With cast-on yarn end, work a gathering thread along the cast-on edge and draw tightly. Sew the rest of the bottom seam, stuff and close body. Make up the head as body and stuff, but keep a small opening. With white, work a gathering thread on decreasing row on the face to make eye dent. Attach eye circles. Attach eye beads. With dark brown DK, embroider nose and mouth with backstitches, inserting the needle from the opening. Close the head seam. Attach ears to head. Make up arms and legs as the body, working from both ends. For legs, thread black and insert needle from the sole and take the needle out from the top of the foot and repeat. Pull the thread gently to shape ankle and flatten sole. Attach arms and legs to body. Attach head. Attach the pompom to the hat and attach the hat to the head. Attach pompoms to the scarf and wrap the neck in the scarf. Knitting part is simple and there isn’t much shaping. The pattern is fresh out of my file and has not checked by professional tech-editor. I hope there is no error. Do let me know if you come accross problems. I am very honoured to be able to design this project; Mr. Men and Little Miss Calendar. It is a free gift comes with the current issue of Knit Now magazine. Most people in the UK know the characters, but if you are not familiar with them, Mr. Men is a series of 49 children’s books by British author Roger Hargreaves commencing in 1971. From 1981, an accompanying series of 42 Little Miss books were published by the same author. I was thrilled when I got this commission earlier this year. The chief editor and I picked our favourite characters, six each from the Mr. Men and the Little Miss books. I have a nice memory of Mr. Men. The first soft toy I bought for my baby son was a stuffed Mr. Happy. He must have been only a few months old. My older son was such a cry-baby but when he saw the Mr. Happy at a shop, he gave an amazing smile. I had to get it, of course. I made these Mr. Men just like the one I got for my boy. Size and style are very similar. It was such a joy to create them. I took some photos before they are off to the publisher. Both of my boys grew up reading Mr. Men books. Their favourite was Mr Happy, Mr Tickle and Mr Bump. I sent the photos to my older son in university in London. He said the toys made him feel nostalgic. Precious memories. It would be great if the toys could accompany story times. If they were made by someone close to the child, that would be even better, don’t you think? Because of the licencing, I am not too sure if the patterns will be available except this calendar, however, I would like to find someone to make it into a book. 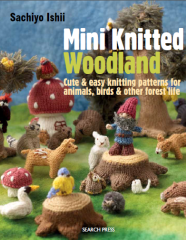 There are lots of exciting knitting magazine issues out now. Exciting for me because they have many of my patterns. Knit Now has my knitted Nativity. I have many sets of Nativity dolls made with different materials. These dolls are finger puppets. I thought it would be nice if children could play theatre with the figures. The set includes Mary and baby Jesus, Joseph, three wise men, three shepherds, ox, sheep and donkey. I got carried away and made more than enough for both hands. The pattern is running in two issues. Both should be out now. Some figures share the basic body pattern so it is not too complicated. It is a bit of a shame that you can’t see the animals too clear in this photo. I like the human figures, but I like the animal puppets very much. They stayed on my table for a while and kept me company. They can stand on their own. You can stuff the body with stuffing and enjoy as Christmas ornament or put them on peg doll stands. The new Knit Now magazine also has an exciting free gift with my patterns. I would like to share the news in the next post. Oh, I was almost forgetting. This pattern is out from Woman’s Weekly now. The outfits are removable. You get both boy and girl bear patterns. The commission included the nighties like these. Sadly, there was no space for the nightie patterns. You can get them from the magazine’s website. The information is included in the article. I just bought a copy. The issue will be replaced with a new one tomorrow, so hurry! Geijutsu no aki, the artistic inspiration arrives in autumn? Japan is fully aware of the goodness of autumn. Because their summer is brutally hot and humid, the cool breeze of autumn is very much appreciated. We have words like ‘Shokuyoku no aki’, the appetite of autumn, ‘Geijutsu no aki’, the artistic inspiration of autumn. ‘Dokusho no aki’ means the autumn of relaxing with a new novel, ‘Sports no aki’ is autumn for playing sports. I guess many of us start wanting to get involved in creative activities in autumn. The weather gets colder and wet, and the days become shorter and shorter. 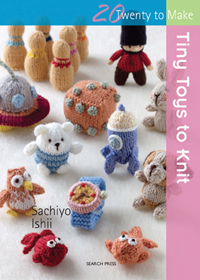 It is nice to sit indoors and spend time in handworks as knitting and sewing. This may be one of the reasons we have many craft fairs this time of year. Because two of our local yarn shops have disappeared from our high street in recent years, craft fairs offer me good material hunting opportunities. This year, I visited two fairs. Back in September, I went to Kirstie’s Handmade fair in Hampton Court Palace. I knew about the event but this was my first visit. Search Press, my book publisher had a stall this year and invited me to do a book signing. It was very nice to meet our customers and get direct feedback and yes, I sold some books. I liked the event. I am not too keen on mega-size fairs, and this one was just about right. They had two large marquees for craft stalls and one for food stalls. Not only lots of materials to buy, I came across fantastic artists. I thought these were absolutely amazing. These are all made with wires and beads! They are created by South African artisans sitting on street corners. They design and make artwork and decorative objects like these. BOA, the importer supports those artists and most money goes directly to the creators. In the same month I went to another fair in Guildford, Surry. I checked the website for the show information and was very much intrigued. I knew it would be much smaller than major craft fairs but I knew the venue and the organizer. They do fairs in quality. I had a feeling that I would get inspirations from the exhibitors. I quite liked these embroidery kits. The designs are lovely and the fabrics are all pre-marked. These are great projects to engage in during the winter. There were lots of interesting fabrics, yarns and other materials. I was in heaven! I made some interesting discoveries and purchases which I am going to use for my next project. Craft fairs are great to get inspirations and if you are a crafter, visiting them is a must. So what is next? I should look for nice Christmas fairs. The issue with these little elves came out in August while I was away in Japan, suffering from the heat! Since I started submitting my patterns to magazines, it became my habit to knit Christmas early. I do festive knitting in June. We had an amazingly hot weather for a week or so in June, but I was knitting Santas, snowmen, elves and reindeers. Thinking Christmas is still far away and the weather being so nice and warm, I don’t get into the spirit, however, I enjoy creating Christmas toys every year. It is one of my favourite things to do. Magazine editors wanted Christmassy characters earlier than previous years. They said that their readers want the patterns early. I quite didn’t expect the elves to come out in September issue, even before Halloween and all, but I am quite fond of the artwork. I think they are charming. You can surely enjoy them any time of the year. I get queries for patterns which appeared in Let’s Get Crafting. They have a fantastic website and you can download some of my patterns for free. Here are some of my previous work. The latest addition is this one, robins. You will find lots of delightful projects. 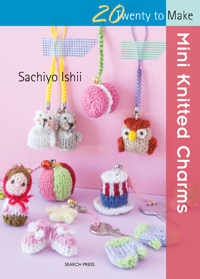 The projects are all worked with their covermount kit yarns. To knit my designs using commercial DK (8-ply) yarn, I recommend 3mm knitting needles. From Knit Now magazine, this kit came out with last month’s issue. See, everyone is preparing early. 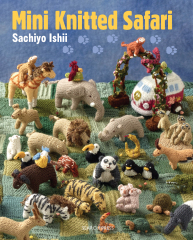 The latest issue of Knit Now should have the part 1 of my Nativity finger puppets; Mary, Joseph, baby Jesus and the three wise men. The following issue will have the part 2; three shepherds, a bull, a donkey and a sheep. I can’t wait to see them in print!